Lightweight hacksaw frame for DIY use. Alternative 90° blade mounting pins for flush cutting. 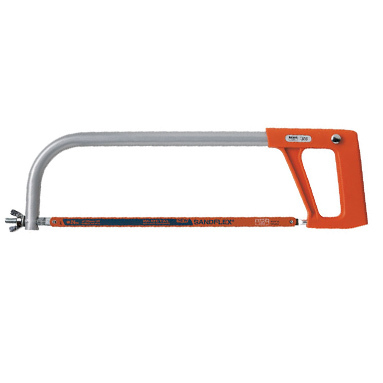 Supplied with a 300mm (12' inch) reliable and shatterproof Sandflex bi-metal blade. 24 TPI for excellent cutting performance.